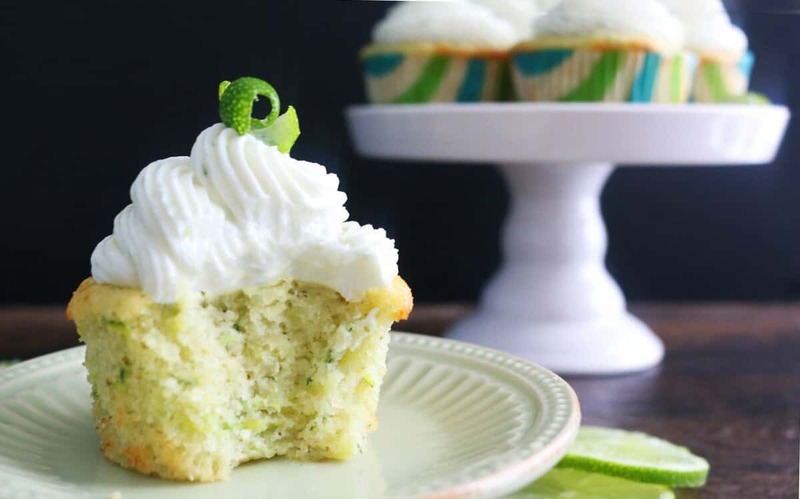 An easy to make super-soft zucchini cupcakes topped off with a tangy lime cream cheese frosting! Meet the cupcake of your dreams! 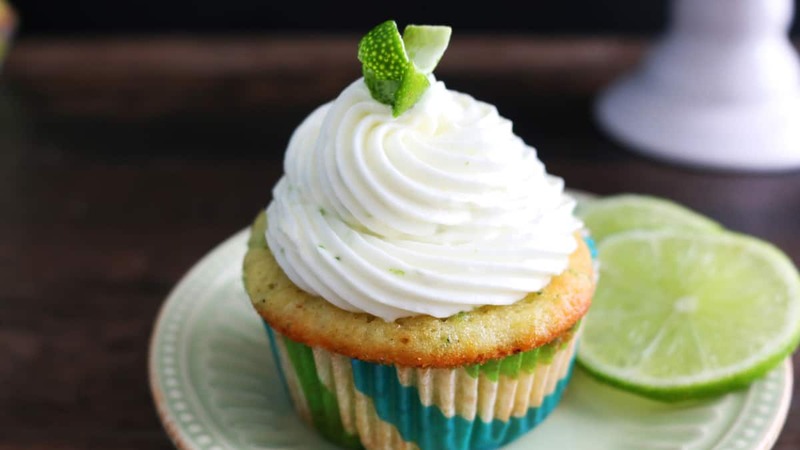 It is ultra soft, moist dotted with green specs from all that zucchini and then that creamy cream cheese frosting that is the right combination of sweet and tangy…… SO GOOOOOOD!!!! Loaded with the zucchini, its actually…kinda….sorta….good for you (not exactly, as Rachel Ray would call it, it’s all girl math). 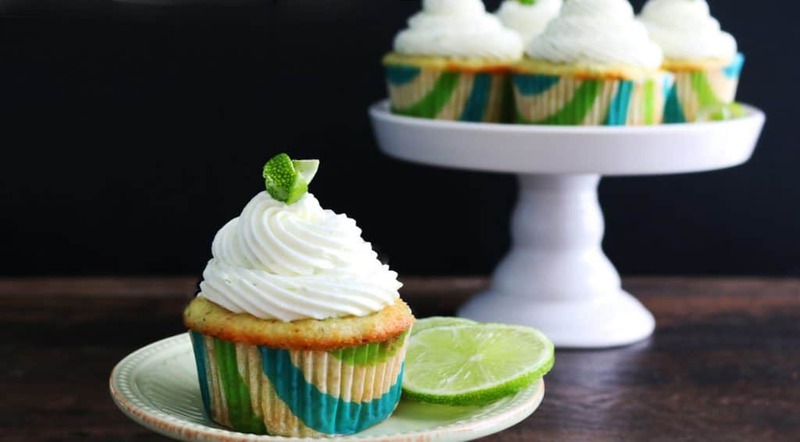 Move over vanilla cupcakes, today it’s all about this green squash. 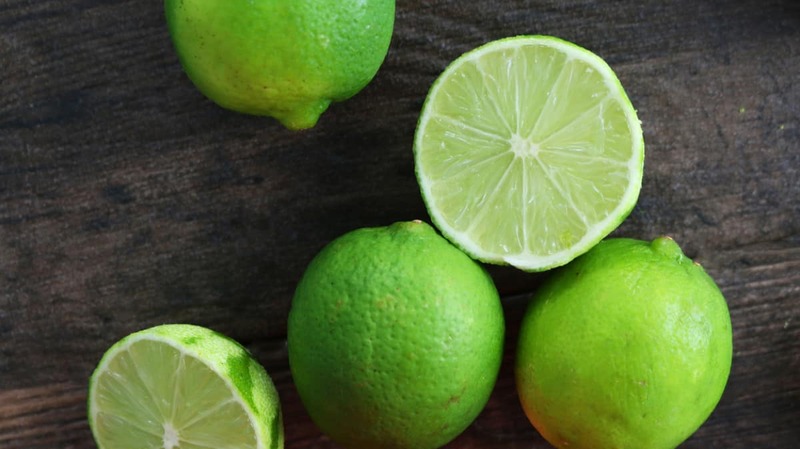 Lately, I’ve been having a hankering for all things lime. Saturday night was extra-tipsy with some mango-lime margaritas and then these Strawberry-lime cream cheese scones was a Spring break special morning treat for the kiddos. Now that they are back in school after a week of way too much fun to series of tests. 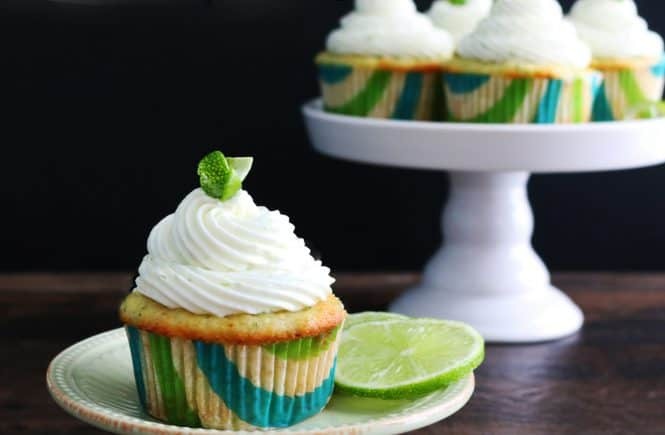 May be these summery cupcakes will cheer them up! These cupcakes took a few tries to perfect. Due to the cream cheese frosting, the cupcakes would be served from the refrigerator and they needed to be moist and tender when cold. First attempt was with butter, all purpose flour and greek yogurt – cupcakes were soft and sturdy but firmed up when chilled (due to butter). Few tries later (not intending to bore you with the entire process), these beauties were exactly how I wanted them to be – loaded with zucchini, super-soft (thanks to buttermilk and vegetable oil) even when cold and with hint of cardamom (in line with the tropical lime). 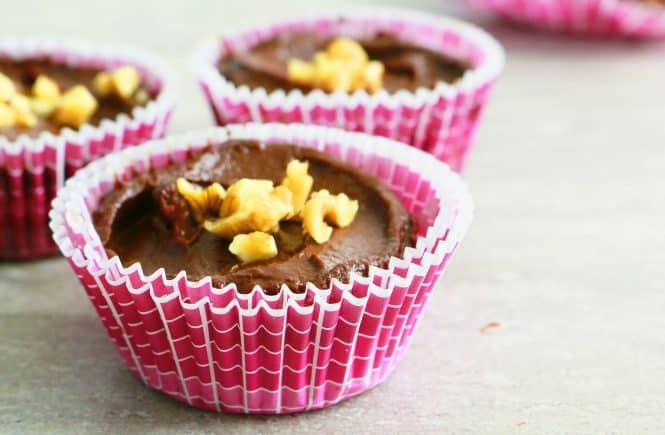 The best part about these cup cakes is that, they use a quick muffin method (no creaming required) and comes together with less-fuss. 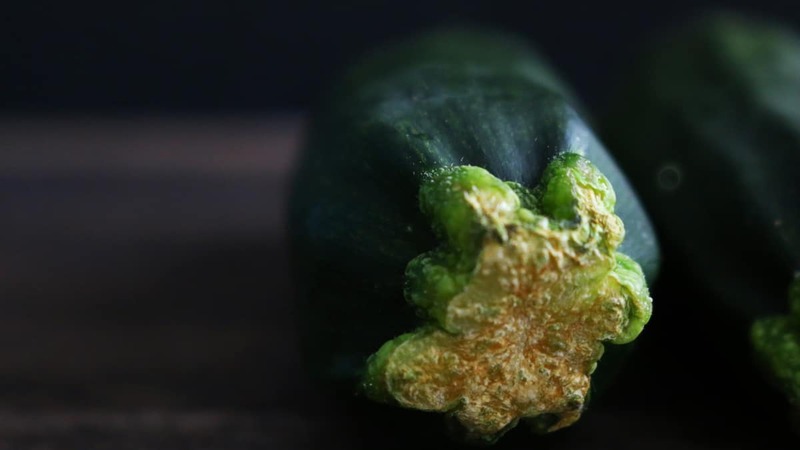 You will need one medium zucchini grated on the coarse side of your box grater (about 1 to 1 1/2 cups measure). 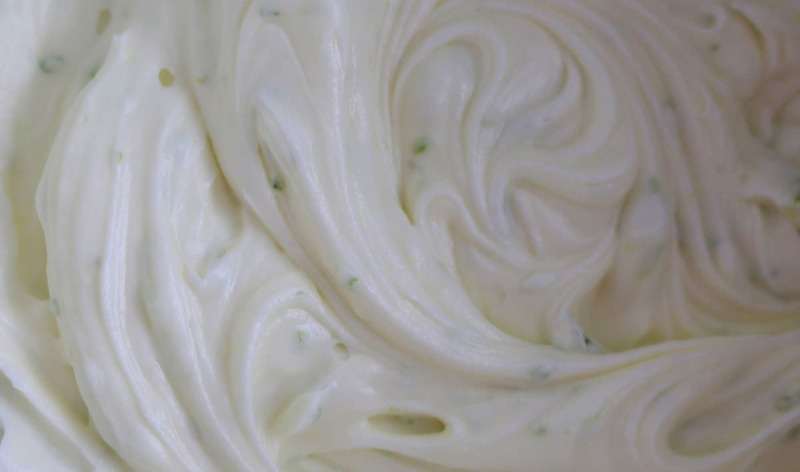 —Whisk all dry ingredients together in a medium bowl. —Whisk eggs, sugar, buttermilk and vegetable oil until smooth. Stir in grated zucchini and then dry ingredients. —Transfer batter into cupcake pan, bake at 350 degrees, until done. Cream all frosting ingredients together, with a handheld mixer until creamy and fluffy. 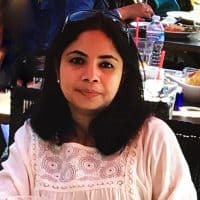 -To make cardamom powder, grind whole cardamoms in a coffee grinder or a dry grinder until fine powder. As we are using only 1 teaspoon for the recipe, store remaining powder in a freezer safe zip lock bag and freeze for several months. 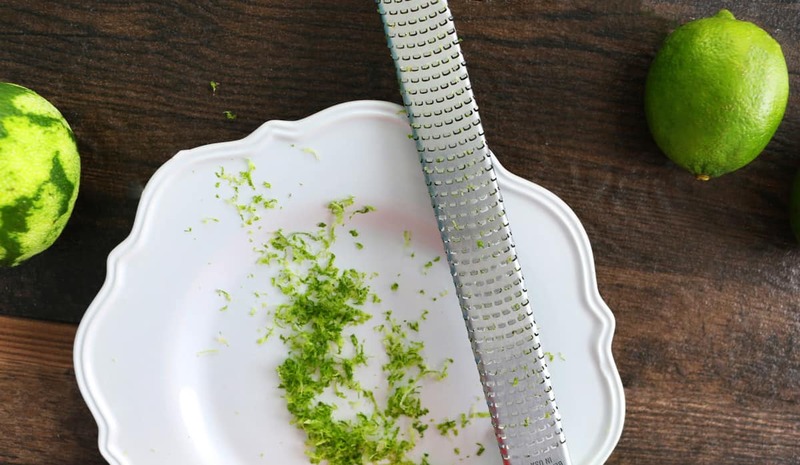 -Lime zest is the thin outer green part of the skin (not the white underneath) – grate using a microplane or a fine grater. 1. Preheat oven to 350 degrees F. Line a 12-cup regular cupcake pan with paper liners and set aside. 2. In a medium bowl, whisk together cake flour, cardamom powder, baking powder, baking soda and salt. Set aside. 3. In another larger bowl, whisk together lightly beaten eggs, sugar, vegetable oil and buttermilk until very smooth. Stir in grated zucchini and then followed by flour mixture (switch to a rubber spatula or a wooden spoon), until just combined. 4. Divide batter evenly in the prepared pan, place pan in the middle rack of the oven and bake for about 25 minutes, until a toothpick inserted in the middle of a cupcake comes clean. 5. Place pan on a wire rack to cool completely. 1. 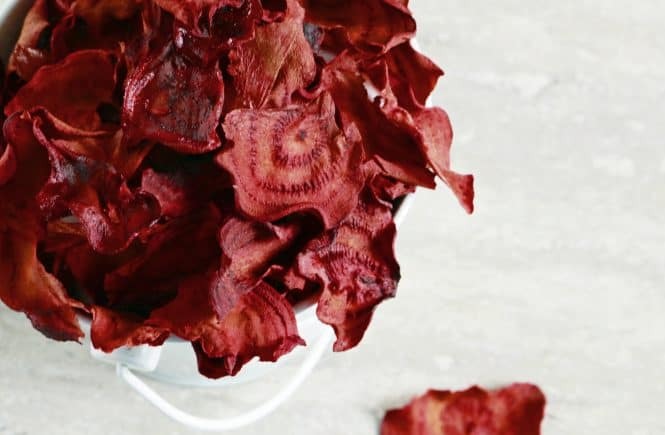 Add all ingredients into a large bowl, beat with a hand held electric beater until smooth, creamy and fluffy (1-2 minutes). 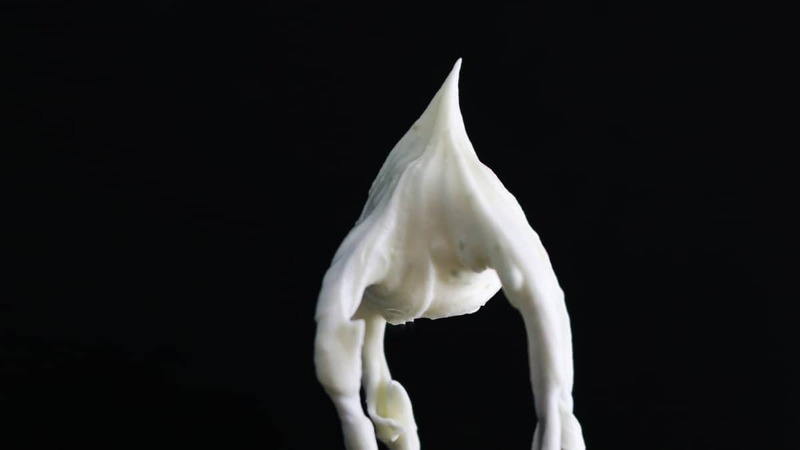 Spoon frosting into a piping bag, use your desired decorating tip and frost cupcakes. Alternatively, frosting can be spread on top of the cupcakes with an off-set spatula or with the back of a spoon. Store cupcakes in the refrigerator. Let cupcakes stand at room temperature at least 15 minutes before serving! This sounds amazing! I love the flavor combo. I have not used cardemum a lot but it sounds perfect in these! Your pictures are magnificent! Thanks Kim, Zucchini is such a versatile vegetable! 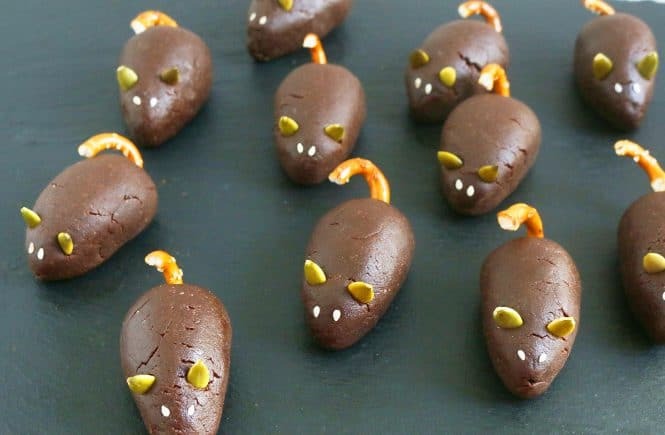 These look absolutely delicious and now I need to find an excuse to make them. I’m thinking you didn’t peel the zucchini first?